The V120 offers 6mm straight cut strips (security level 2) for everyday documents. Maximum 12 sheets of paper in a single pass. 35 litre waste basket hNEWs approximately 230 sheets of shredded paper. 80watt motor. Auto start/stop and reverse function. 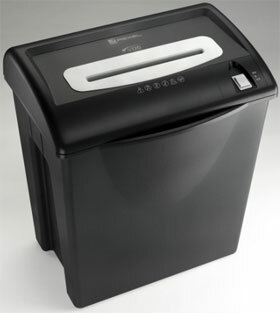 All Rexel Shredders are supplied with a full 2 YEAR WARRANTY!